There's nothing unusual about the Brockets. Boring, respectable and fiercely proud of it, Alistair and Eleanor Brocket turn up their noses at anyone strange or different. 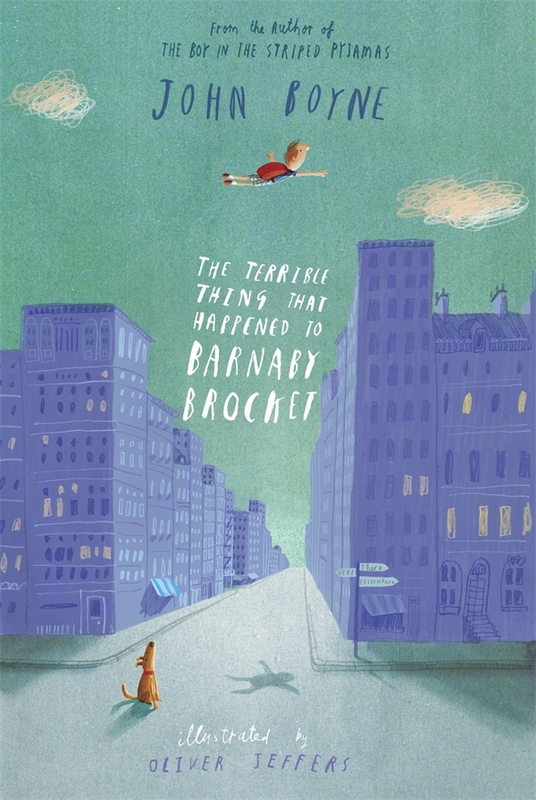 But from the moment Barnaby Brocket comes into the world, it's clear he's anything but normal. To the horror and shame of his parents, Barnaby appears to defy the laws of gravity - and floats. Little Barnaby is a lonely child - after all, it's hard to make friends when you're three feet in the air. Desperate to please his parents, he does his best to stop floating, but he just can't do it. Then, one fateful day, Barnaby's mother decides enough is enough. She never asked for a weird, abnormal, floating child. She's sick and tired of the newspapers prying and the neighbours gossiping. Barnaby has to go . . . Betrayed, frightened and alone, Barnaby floats into the path of a very special hot air balloon. And so begins a magical journey around the world; from South America to New York, Canada to Ireland, and even a trip into space, Barnaby meets a cast of truly extraordinary new friends and realises that nothing can make you happier than just being yourself. The name John Boyne is familiar to most people, as he wrote the extremely popular Boy In the Striped Pyjamas. A couple of years ago he wrote a book called Noah Barleywater Runs Away, which was very different to The Boy In The Striped Pyjamas. This one is different again. I love the idea of the story (and I am partial to the cover by Oliver Jeffers), but after reading it, and I am confused as to who the story was written for. Some books have a very subtle message that they try to weave into the story, not this one. The message is loud and clear and it does feel a bit like I am being beaten over the head with it. Barnaby is different, he has an issue with gravity and he floats. He was born to the most normal couple of people you could ever find in Sydney. For eight years his parents tried to deal with the differences, until one day it became too much...and the terrible thing happened. So begins Barnaby's journey, where he travels the world and meets many other people who are also 'different' and have been shunned by their families. Each of these people help Barnaby in some way, and they too have a little something added to their lives just by meeting him. For all of his adventures, his one aim is to get back home, even though the terrible thing happened. I really enjoyed this book, even though it has left me wondering who else will read it. For a book for children it has some very mature concepts, many of the adults he meets have chosen lifestyles that their parents didn't agree with, as so have been disowned. Ethel and Marjorie who he goes to South America with are lesbians (this is never actually stated, nut it's clear to the reader), living happily together for 40 years, Charles from Toronto was badly burned in a fire, and his fashion industry parents sent him away to live in a children's home and Joshua from New York, is the son of a millionaire, but lives in gloomy room in an office basement, because he really wants to be an artist and his father has cut him off financially. This is another one of those books, that I don't want to put people off reading, I just think it's a hard one to pigeon hole (maybe that's the point, it's different, but that shouldn't matter!) I think real 'readers' will enjoy the adventure and the quirkiness of this book. I would be interested to hear from anyone else who has read it, and let me know what you think.